2019 Spring/Summer Adult Hockey League Registration is Now Open! Team Fee is $6118.00 per team, same as it was last year! Players that already have a team can begin to register as soon as their captain has registered their team! Individual players looking to join a team, you must add your name to the player wait list and wait to be recruited by a team captain before registering. Inline Hockey Season Information and Registration . The Gardens Ice House Adult Hockey League (GIHAHL) is pleased to announce the launch of a mobile stats site and related iPhone app designed to deliver game scores in real-time to your mobile device, such as your iPhone, BlackBerry or Android. Find your favorite team by surfing to http://www.pointstreak.com on a mobile phone, or by typing in the dedicated URL m.pointstreak.com into a mobile phone's web browser (iPhone or iPod Touch users can download a Pointstreak Mobile app for free from iTunes). 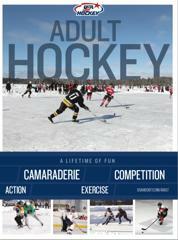 Once there, you can search for the The Gardens Ice House Adult Hockey League (GIHAHL) or for your favorite team. The The Gardens Ice House Adult Hockey League (GIHAHL)'s new mobile site and iPhone app is powered by our technology and statistics partner, Pointstreak Sports Technologies Inc. (http://www.pointstreak.com or http://www.pointstreaksolutions.com). Note: Pointstreak Mobile is now available for ALL of Pointstreak's hockey, baseball, lacrosse and soccer clients, including recreational and amateur leagues and teams. The Gardens Ice House is a Non Checking Adult Hockey League. Even though it is a non checking adult league due to contact with the boards and incidental contact on ice we highly recommend that ALL players wear complete hockey gear. ©2019 The Garden's Ice House Adult Hockey / SportsEngine. All Rights Reserved.